Before you hit the stores, take a minute to make a list of the supplies you’ll actually need. Many schools publish back to school supply lists. Get one for your school and cross off all the items you have lying around the house already. (For example, you may have glue sticks , hand sanitizer or last year’s backpack on hand already). Once you’ve made your list–stick to it. This way, you won’t waste your money on things you don’t need, and you won’t forget anything, causing you to pay more for it later. 2. Consider Back to School Bundles. If you’d like to shop in the comfort of your own home, Amazon has several Back to School Bundles ready to go for back to school. These bundles include a variety of different school supplies depending on your needs. Just scroll down this page to find what you need, all in one place and have it all shipped to your door! Back to school time is the perfect time to score some amazing deals on school supplies. All the major stores have sales where they drastically mark down select items. Many stores even sell specific items at a loss just to get you into the store. Instead of getting all of your supplies at once (when some will be cheap and others will be expensive), take a few weeks and get a couple doorbusters each week. Then you can get everything–or at least almost everything–you need at rock bottom prices. If you find a truly amazing deal, don’t be afraid to stock up, especially if it is on something that you know your kids will need lots of or that they will need again next year. While you don’t want to be greedy and clear the shelves, don’t be afraid to buy more than you need. For example, one year I saw pencils for 1 cent a box! Now I’m kicking myself that I didn’t buy plenty. While sales tax is a small percentage of your purchase, it can really add up when you are buying tons of back to school supplies. Many states offer sales tax holidays, when you can get school supplies without paying tax. If your state does this, be sure to shop during those dates to save even more. Buying generic can save you a bundle, but sometimes name brand is the way to go. It all depends on what you are purchasing and how long you need it to last. Feel free to go cheap on: crayons , paper , pencil sharpeners , basic calculators , colored pencils , book covers and erasers . 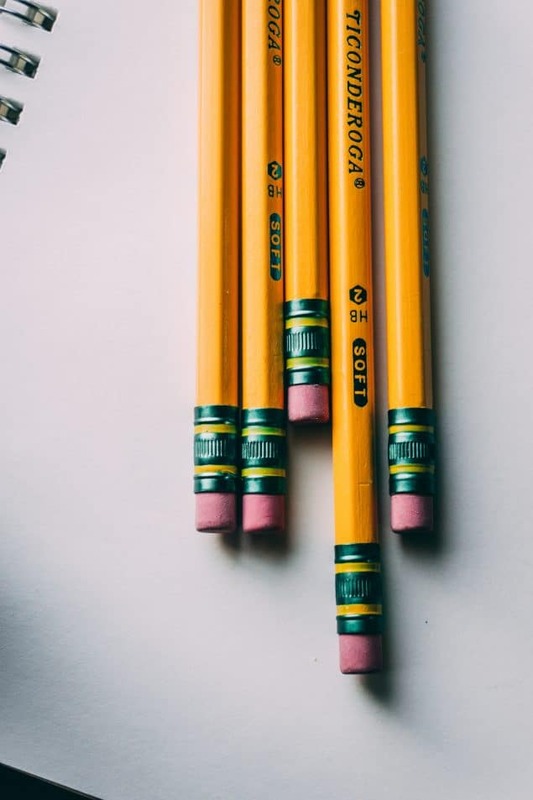 Plan to spend more on: backpacks , graphic calculators , insulated lunchboxes and pencils (Some of the cheaper brands won’t sharpen in old fashioned pencil sharpeners. They just grind into stubs). Your child may absolutely adore that cute character backpack or lunch box now, but for how long? It is not uncommon for kids to change interest as soon as only a month or two into the school year. Stick to basic, character-free designs so they can be used year after year. School supplies may be a necessary expense, but that doesn’t mean that you should spend more for them than you have to. Use these six tips for saving big on school supplies and get the supplies you need for less. Any other tips use and love? Share them in the comments below!